In this free Marvelous Designer 7 video tutorial, you’ll learn all about the MD7 Flattening tool. We’ll show you what the Flattening tool does, what it’s supposed to do, and how to use it. You’ll see examples of creating a simple cuff, a T-shirt, and a corset with the Marvelous Designer 7 Flattening tool and the Avatar Line Tool vs. creating them using the regular Marvelous Designer pattern creation tools. What is the Marvelous Designer 7 Flattening tool? 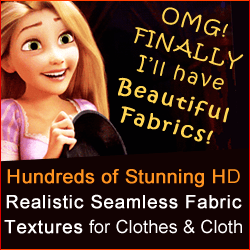 The Flattening tool creates clothing patterns from 3D lines you draw on your avatar’s body. While it seems like a great way to easily create garments and clothing patterns, the Flattening tool (in current MD7) usually ends up creates uneven, lumpy patterns which require more work to fix, than to create from scratch without this tool. Watch this free video tutorial by Marvelous Designer Expert Trainer Camille Kleinman for an honest review of what this new Marvelous Designer 7 flattening tool can do – and it’s limitations. Go here to learn about all the other Marvelous Designer 7 new features. 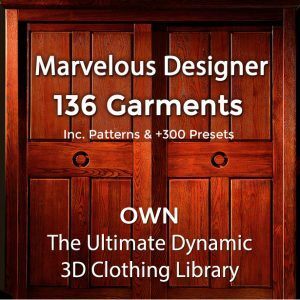 Check out our Mastering Marvelous Designer course, which of course teaches you the ins and outs of the MD software program and the best way to use it, but most importantly, you’ll learn (through our in-depth and easy-to-follow workshops) the principles of making any type of 3D clothes in Marvelous Designer.